But all is not well in the country. The economic program of the new government is virtually no different from that of the deposed one; the ministry of interior – the source of repressions, if not crimes against humanity against the population in the Ben Ali years – has hardly been touched; nor has the police force, both of which are now being integrated and mobilized to serve Ennahdha’s interests and to solidify their control of the Tunisian political space. Tunisia’s Arab Spring shaping up to be a case of `all the change necessary to maintain the status quo’ despite all the formal celebrations of `the revolution’. Now, to make matters worse, something novel and unfortunately insidious, at least in the Tunisian context, is taking place: the emergence and dramatic growth of the country’s Salafist (Islamic fundamentalist) movement, a movement that had virtually no popular base in this North African country known for its political and religious moderation. 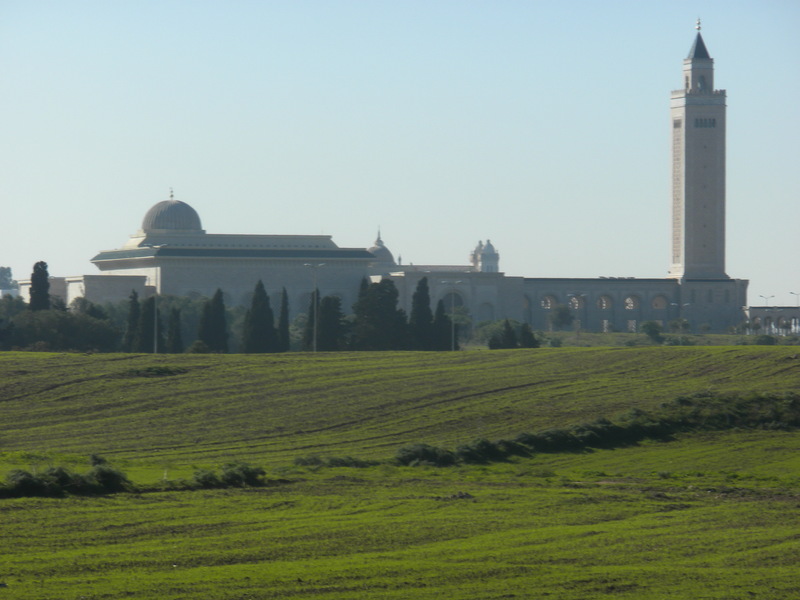 The Salafists are casting a larger and larger shadow over Tunisia. 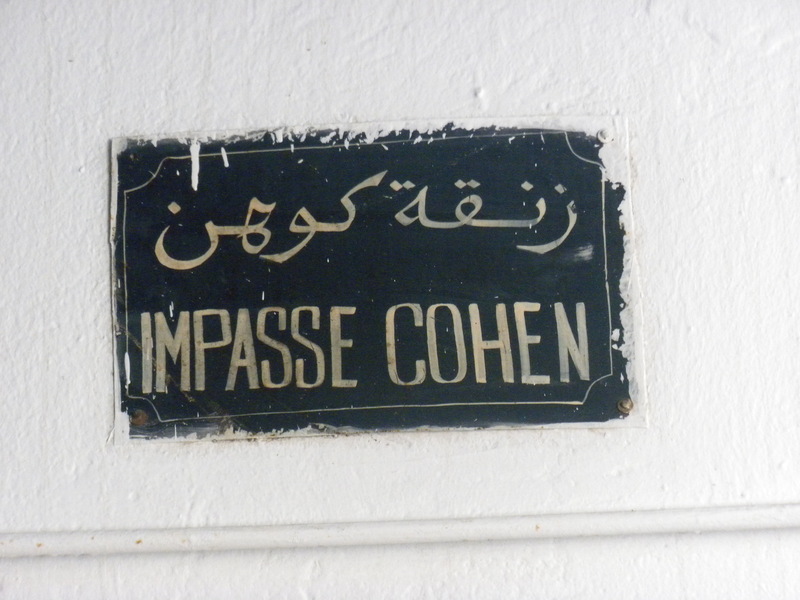 Some were victims of Ben Ali’s prisons whose righteous rage has been manipulated. Others have joined from the ranks of the large Tunisian lumpen proletariat – the permanently unemployed, whose numbers are growing. Although Salafists remain essentially a fringe group, mostly foreign to the Tunisian political experience, their influence is spreading. Money to support their activities is streaming in from abroad. It started before the October 24, 2011 national elections to determine Tunisia’s constituent assembly. Given Tunisian recent history and its generally mild, tolerant forms of Islam, an Islamic fundamentalist crusade, an overall offensive appeared rather odd, out of character. Indeed most observers – myself included – wrote it off as a limited campaign of fringe zealots, heavily funded by outsiders, be they Saudi or Qatari, which need not be taken too seriously. True enough, the Salafists had come to the fore in the months after Zine Ben Ali and family fled the country on January 14, 2011. Several hundred had protested in front of Tunis’ main synagogue with their twin themes of Shari’a and virulent anti-Jewish chants. The taunting of women began almost immediately as did the threatening phone calls and anonymous letters to leading journalists, cultural figures. Then a few weeks before the October, 2011 elections, a Salafist campaign exploded in opposition to an Iranian animated cartoon `Persepolis’ which showed an image of God as a kindly old man, True the image of God in human form is considered taboo in Islam – something the film makers must have been cognizant of – but oddly enough several years prior the film had played in Tunisia with very little controversy. This time, what I would call a `pre-fabricated’ political storm erupted, and as it did, the pre-election discussion shifted away from the socio-economic crisis, which had triggered the Tunisian uprising in the first place and focused instead on the requirements for being a good moslem rather than a good citizen. From the elections until today (early June 2012), the situation has only deteriorated and at an alarming rate. Salafist mobs – little more than the brown shirts of the Tunisian Revolution – have attacked media outlets, burned down bars and liquor stores, intimidated women, physically attacked anyone with whom they disagree. The number of incidents has multiplied while the transitional government has done little to nothing to intervene, giving the Salafists a free hand nation wide. While the current government consists of a coalition of three parties, two of which are secular, one of which considers itself politically moderate Islamic, it is the latter, Ennahdha, that essentially runs the show and controls the government. With the powers of the president having been essentially eviscerated, it is the prime minister and the minister of the interior, both Ennahdha men, who have considerable powers concentrated in their hands. Ennahdha’s approach is becoming clearer – make surface alliances with secular parties (Marzouki [CPR] and and Ettaktol) while make informal – or secret alliances with Salafists…together they share more and more key posts in the new Tunisian government and are consolidating their hold on power. The formal (and legal) alliance that Ennahdha has with the Congress Pour la Republique (CPR) and the Democratic Forum for Labor and Liberty (called Ettakotal) has been for little more than show, for foreign powers, to show a smiling and `liberal’ face to the West. Far more important to Ennahdha to date has been its informal alliance with the Salafists who they have essentially let run wild and whose actions Ennahdha either tolerates or excuses. A division of labor between the two Islamic strands has been worked out. Ennahdha concerns itself with the political and legal system while the Salafists have not so much through `dialogue’ but instead through thug tactics quickly strengthened its position in the country’s mosques, schools and media. That such a marginal group as the Tunisian Salafists could make such dramatic gains and in the process, polarize the country as never before, could not be possible without the tactic and oftentimes open support of Ennahdha. Television stations have been attacked; the government did nothing, bars and liquor stores burned down in many places as police and military stand by watching. Demonstrations of more secular elements have been attacked; the government blames the victims, not the attackers. A university dean was beat up, nothing done to stop the Salafists attackers, etc. etc. And as often happens with cowards and brown shirts like the Tunisian Salafists, having been given the green light by the Tunisian government, these elements have only gotten increasingly emboldened, their tactics more and more aggressive and violent, so that now it becomes more difficulty to reign them in. Ennahdha’s cozying up to the Salafists might have more to do with its global and regional relations than with internal Tunisian dynamics. Although the United States – the Obama Administration in particular, but a number of European countries as well – celebrated the Tunisian political changes, this support did not materialize into a great deal of financial aid. The sums offered by the U.S. and U.K. are more symbolic than real. Ennahdha has made it clear in its actions and statements that it preferred a closer relation with the U.S. and a somewhat more distant relationship with France. It had hoped such actions would translate into a major U.S. aid package. Didn’t happen. Actually `under the radar screen’ most of the time – but where it really counts – both the British and the U.S. have had long and enduring political relationships – cooperation with Islamic fundamentalists – even the most retrograde among them – in order to protect their vested interested in the Middle East. The Salafists in Tunisia are being used, as they often have been in the past throughout the Middle East, to `divide and conquer’. As in Egypt, first and foremost, their role is to act as a break on the progressive economic and political momentum of the Arab Spring which forced Ben Ali from power. Although poorly publicized in the U.S. media, they are becoming increasingly brutal in their methods, attacking democratic, more genuinely moderate Moslem and secular elements almost at will. Encouraged and funded throughout the region by the Saudis and Qataris, despite their increasingly bullying and violent tactics, Tunisia’s Salafists seem to enjoy something close to immunity from prosecution. For some time now, they are being given a green light to attack progressive and secular institutions with something close to impunity; to amplify their role, now a Salafist party is being granted formal legal status. * The day after the Sidibouzid bar burnings, thousands of hard line Salafists held their second annual meeting, this time in Kairouan. Some dressed in Afghan military garb and waving swords, others wearing long beards, robes and caps, they unfurled their banner atop the minaret of the city’s mosque, the most ancient in Africa and the third holiest in Islam after Mecca and Jerusalem. Their chants includes lyrics such as “We are all children of Obama [bin Laden], and “Khaybar, Khaybar, Jews, Jews the army of Mohammed is back” . Khaybar is a reference to a place in Saudi Arabia where the Prophet Mohammed led his armies to massacre and expel Jews. One of the Kairoan meeting’s organizers, Ridha Bel Haj, who leads the banned Hizb Ettahrir political party, in an effort to re-write the history of the Arab Spring commented “The revolution was made so that sharia cold be applied.”. (Actually the Tunisian Revolution had little to do with either Islam or Sharia – it was a protest against socio-economic conditions, extreme political repression.and in the movement that overthrew Ben Ali, the likes of Bel Haj and his ilk were nowhere to be seen!). These are only the latest in what has been a spree of Salafist confrontations, targeting the country’s women, educational system, media, cultural figures and religious minority communities. Although the elected government has repeatedly made official statements in support of the country’s 1500 or so Jewish Community, the Salafists have engaged in shrill and virulent anti-semitic language. 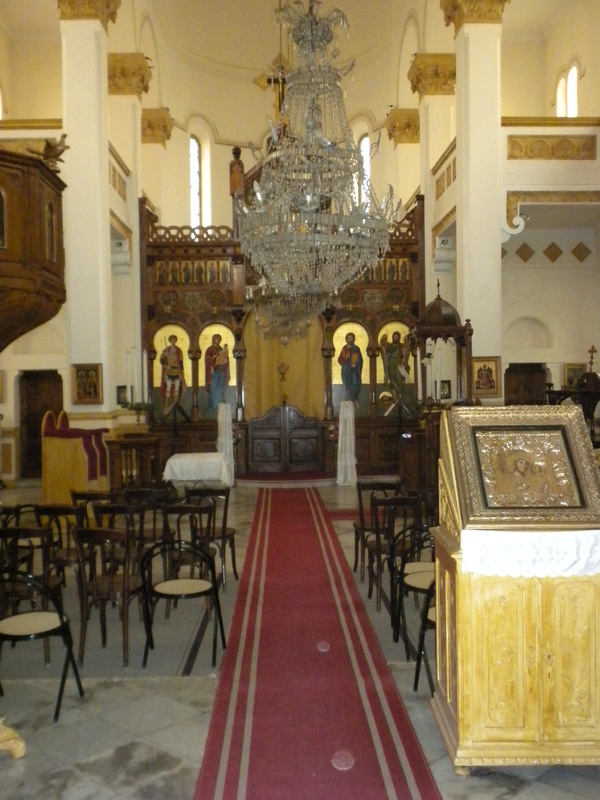 Their supporters have also attacked and desecrated the country’s only Greek Orthodox Church in Tunis. How has the transition Tunisian government responded to this wave of attacks? Virtually not at all. While calling for `dialogue’ between Salafists and more moderate Islamic elements and secularists, Ennahdha, the key political force in the ruling coalition has let the Salafists run amok, attacking cultural events, political rallies calling for democracy and protection of women’s rights. To make matters worse, despite the fact that religious based political parties are illegal by Tunisian law, a Salafist party has been certified. On March 29 of this year, an openly Salafist political party was granted legal status by the Ministry of Interior. `Insah’ – as it is called in Arabic, `The Reform Front” openly pushes for the establishment of an Islamic state, the imposition of sharia law and a return to the `purified’ Islam of the time of the prophet Mohammed (630 A.D). Salafists did not play any role in the mass movement that overthrew Zine Ben Ali’s government in January, 2011; a Salafist ran in Tunisia’s October 2011 elections for a constituent assembly as an independent list but came up empty, not winning any seats – an indication of how isolated and irrelevant Salafist themes are to the Tunisian body politic. That election did result in the Ennahdha Party – an openly Islamic based political party – pulling down some 42% of the vote. Insah will be eligible to field candidates in the parliamentary elections scheduled to take place next year. The legalization of Insah would not have been possible without the firm support of Ennahdha and particularly its leadership, Rachid Ghannouchi and Tunisian Prime Minister Hamadi Jebali. In its public statements Insah spokesman and founder Mohamed Khouja was careful to emphasize that “the party’s platform does not impose anything, such as dress or other personal conduct concerning Tunisian daily life.” Khouja insists that Insah is committed to “the civil values of the State” and that it respects the particulars of the democratic experiment in a peaceful framework removed from all forms of violence and hatred across the political spectrum” At the same time, as if his movement represents the whole of Islam, rather than a minor splinter group, Khouja pompously comments: “We will not accept any assault on our religious sacraments and we will seek to express the demands of the Muslim people.” But then who is this representative of a splinter group to be speaking for `the Muslim people’? While a wave of Islamophobia poisons the political atmosphere here in the United States, in the Middle East, the Obama Administration finds itself lining up with and making alliances with, to one degree or another, the same forces it criticizes so vociferously at home. It has been going on for more than a century. Funny thing that the `enemy at home’ turns out to be ally abroad and a consistent and tried and true one at that! On the surface it certainly appears that different U.S. administrations oppose Islamic fundamentalism – isn’t that what the war on terrorism is all about? Opposing – ney – wiping out Al Qaeda and like groups? No question that anti-Islamic hysteria – Islamophobia – has been whipped up since 9-11 (and even before). But appearances can be deceptive. First the British and later the U.S. have had long standing histories of cooperation with Islamic fundamentalist elements whom they use a foil against more secular Arab nationalism. These continue and remain important today. Bizarre as it might seem to American audiences, Salafists are playing key roles in support of U.S. Middle East policy. 1. They represent nothing short of the counter-revolution on the ground – meant to defuse the democratic upsurge and turn back the Arab Spring from resulting any new political developments that might challenge U.S. economic priorities (neo-liberal access to the region) or strategic concerns. 2. Their actions in Tunisia and Egypt accomplish something else, rarely discussed these days: in tandem with Israel’s campaign against Iran – takes the focus off of the Israeli occupation. Thus they will be tolerated and encouraged – albeit from a distance and through Saudi and Qatari proxies. While claiming to oppose Salafist brown shirt tactics, once again, the U.S. is playing the appears to be Salafist card and not just in Tunisia. Supporting Salafists throughout the region are two key U.S. allies – Saudi Arabia and Qatar who work in tandem with the United States to secure U.S. strategic interests and neo-liberal economic policies throughout the region, policies more and more being closely coordinated with NATO. Arms shipments from Qatar and Saudi Arabia to Salafist elements in the Syrian opposition have been intercepted in Lebanon recently. There are reports of Iraqi jihadists also working with the Syrian opposition, their activities coordinated by the Saudis and Qataris, in some form of coordination with the U.S.A. as was done in Afghanistan in the 1980s. Several weeks ago, re-enforcing Syrian government claims, a Tunisian human rights group exposed the open recruiting of Tunisian Salafist elements to also fight in Syria, calling for an investigation, suggesting that the Tunisian Ennahdha led government is coordinating its Middle East policies rather closely with Saudi and Qatari religious conservatives. The British and the U.S. prefer the more placid and `west oriented’ face of `moderate Islamic parties’ like Tunisia’s Ennahdha which claims to respect democratic processes. But when necessary, London and Washington have not hesitated to cooperate with more fanatical elements – be they Saudi Wahhabists or now Syrian jihadists. Besides the anti-Arab secular nationalist bond that unites U.S. foreign policy with Islamicists, there is a bond of another kind: they see eye to eye economically. The Moslem Brotherhoods in Egypt, Ennahdha in Tunisia, and Salafists throughout the region are all comfortable with and support the kind of neo-liberal economic policies the United States and Europe pursue. They have opposed trade union rights, strong state directed economic policies. When it comes to neo-liberal economics, openness to foreign corporate and financial penetration, the Islamicists and U.S. policy makers are in complete harmony. As Ennahdha in Tunisia cozies up to its Salafist brethren to neutralize the Tunisian Arab Spring from turning into anything that might substantially shift the country’s neo-liberal economy policies and its strategic alliance with the United States, Washington calmly looks on with virtually no critical comments from the State Department, no sense of criticism – to say outrage – from the country’s media as the Islamic fundamentalist wave takes hold in the country. Most of the dirty work, the political support and financial flows are in the hands of the Saudi’s and Qataris, neither of which can even go to the bathroom without U.S. approval. The idea that the Obama Administration is not aware of the Tunisian developments is not credible. A wonderful analysis, I really enjoy reading this article, absolutely great article! It is the first foreign article I read on the Tunisian situation after the revolution that reflect the reality and explain exactly what is happening in Tunisia. Please keep writing about it, job well done! 1-The immediate need to create jobs, Hundreds of thousands of jobs, for an “army” of joung bachelors, waiting eagerly for any job opportunity and also to be able to built up a future and a family . But there are no jobs . For many, this process goes too slow or isn’t moving at all . The number of unemployed is around 900,000, on a population of 11 Million, while only 3,5 Million tunisians have jobs . In addition, we may argue that Tunisian previous Governments kept depending on Tourism as the country’s main source of income, and were all too blind and too oblivious to the consequences on the long term . Therefore instead of stimulating industrial investments, in all districts, and not only on the coast line, no one had ever bothered even to bring the idea forward…They all sat back, as if to say : ” In Tourism We Trust ” or ” Nothing Else But Tourism “, which in both cases show how negligeable this attitude turned out to be . I call it a total lack of vision in tunisian politics . 2-The second major issue here at stake, is definitely the Security question – for without it – nothing else can function properly . The new Ministry of Interior is caught in a serious dilemma : Either to switch back to the methods of the former Regime, or to promote the idea of breaking up for good with the police methods of the past . The Minister himself, Dr.Ali Laraydh, used to be a longtime victim of torture in that same Ministry where he is now the boss . The message has been pickep up by subversive elements, adventurers, gangs, including the so-called Salafists who are pretty aware of their own drive to create anarchy & confusion, believing they can get away with it . So they do not hesitate to take their chance . The country is, in their eyes, free to take . Under the former regime, they couldn’t make their move . But now, with the new democratic reforms in the making, whereby the police force is required to act only within the rule of law, makes it easy for these subversive groups to challenge the Society & the authorities alike, given the simple fact that these groups have risen as a result of an obvious vacume in tunisian political and social-economic structure . I appreciate these comments from `Heydraton’. They add insights into to current crisis and in many ways help explain the attractiveness of many – especially unemployed elements – to join in with Salafists and like elements. Yes, it’s possible for a society to fall apart if its backbone ( the economy) gets stuck . Without mentioning Security, because a stable economy brings an overall stability by itself, usually. Although corruption took its toll, there are various ways to root it out, if legislations are carefully set in place and carried out accordingly . I have a strong believe that the new Constitution will open a new chapter in the way tunisian society ought to draw its future . a – Reform all sectors of the economy at a steady rate, to catch up with a two-year-stagnation . b – Ignore reforms and plunge back into the world of corruption inherited from the previous mobster regime . p.s. Thank you for your comment, Dr Prince . Simply desire to say your article is as amazing. The clarity in your post is simply great and i can assume you’re an expert on this subject. Fine with your permission allow me to grab your feed to keep up to date with forthcoming post. Thanks a million and please keep up the rewarding work. topics discussed in this article? I’d really love to be a part of community where I can get opinions from other knowledgeable people that share the same interest. If you have any recommendations, please let me know. Thanks a lot! U.S. And Israel… « ARABI,sperati,rugati-va pentru IUGOSLAVII ! Les États-Unis et Israël enrôlent des terroristes jihadistes pour faire tomber la Syrie « A.G.E.S.C. U.S. And Israel Enlist Jihadist Terrorists To Bring Down Syria | 2012: What's the 'real' truth? Ögonvittne ger CIA-stödda styrkor skulden för Houla-massakern « …PRATA INTE OM DET!